This car has been my pride and joy for years... I have invested hundreds of hours doing the all the work below, since I’m the type of person who feels that the only way to ensure the work is done right is to do it myself. It totally kills me to sell this car, but I recently relocated to Texas for a career move, and the car is being neglected since I don’t work on it anymore. I couldn’t take it with me so it’s currently being stored in Bartlett, IL. I really never pictured myself selling it, but the distance is proving to be too much of a hardship... I have to let it go and cut my losses. The car has more new parts than used, including the transmission, axles, brake system, intake, exhaust, full suspension, paint, complete interior, audio system, battery, etc... almost all those parts have ~20K miles on it or less. The only major component original to the car is the motor, glass, doors, body, and frame, and even the motor and glass have new gaskets. The transmission was originally a 4 speed automatic, and I replaced it with a 5 speed manual from an SE model that had the rare limited slip option. All gears were checked to be within tolerance. New axles, CV joints, and wheel bearings have been installed as well. The car is a blast to drive with the new transmission. It’s truly the 4 door sports car it was meant to be. An Exedy stage 1 clutch, aluminum flywheel, polished bell-housing (needs a re-do after some oxidation), new master and slave clutch, and stainless hydraulic lines were all installed less than 10K miles ago. The aluminum flywheel lets the transmission wind up so fast that 1st gear is almost non-existent... amazingly fast off the line. Redline MT-90 gear oil and Castrol hydraulic fluid are used and keep things working smoothly. New thicker axles and ARP extended wheel studs on all 4 corners are used, along with aluminum wheel nuts. Tenzo Type R wheels and Continental ExtremeContact DWS tires are brand new, less than 5K miles. Full size spare included. The custom brake system consists of stock parts from different high-performance cars. The front brakes are 4 piston 300ZX TT calipers and 2004 Mustang Cobra 13” rotors with a CNC’d steel spacer to get the caliper at the correct distance for full pad bite. The rear brakes are stock maxima calipers with larger diameter 1988 300ZX rotors for a perfectly balanced system. Fully stainless steel wrapped brake lines throughout. Castrol fluid only. This is the ultimate setup for the 3rd gen maxima. Custom cold-air intake is routed into the front fender and the K&N filter is protected from water intrusion by the wheel well liner. The 2.5” exhaust is fully custom with a high-flo catalytic converter, mangaflow muffler, new flex section, and glass-pak silencer recently installed in 2016. Has a great sound with no leaks. Has some surface rust on the aluminized steel piping, but the welds are all found to be structurally sound and do not leak during inspection when the glass-pak was installed. Suspension has been totally overhauled, and is easily one of the best features of the car. This thing handles like it’s on rails, with almost zero body roll. The only thing that could be added in a x-frame. BlehmCo heim joints, control arm frame brace, solid sway bars, and strut tower bars on front and back, Tokico and Koni struts, and Eibach springs make the complete package. Every rubber bushing has been upgraded with polyurethane, greased for zero squeaks. 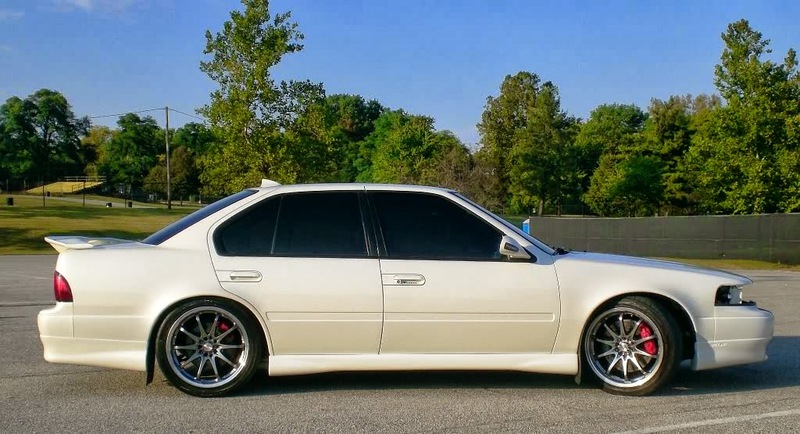 I originally had B&G 2” lowering springs on the car but it was too stiff for daily driving (though a much better look). Those springs are included in the sale if you want to sacrifice comfort for aesthetics. The interior is, again, totally custom. The car was stripped inside and out for paint and body work, and I found a local Nissan dealership with leftover graphite grey leather skins that were a dealer-only option, and installed them over new black carpet for an contrasting look. The headliner and pillars were stripped and covered with black alcantara material. Matching floor mats are included. Every interior light, including the HVAC controls and gauge backlighting has been replaced with LEDs. The main gauges have an electro-luminescent cover added that glows red/blue at night when the headlights are turned on. I’ve also added switched blue LEDs to all 4 foot-wells and inside the vents for a pretty cool effect at night. The Gauge pods lights are also on that same switch. A Momo steering wheel with NRG quick-release for sporty look and added security from theft are included. NRG products are also used for the carbon shift ****, and e-brake handle. A custom black leather shifter boot with graphite french seams finish it off nicely. Audio system is one of the best I’ve ever heard. The entire car was insulated in Damplifier Pro when the interior was out, and all wires were replaced with 10 gauge RCA’s for amps and speakers. The amps are fused and powered/grounded by 0 gauge wire. Diamond Audio amps with JL audio subs and Cadence competition component speakers sound fantastic. A Pioneer premier touchscreen head-unit with GPS, DVD, HD Radio, and iPod connector is included. Absolutely zero rattles at full volume. The car has been fitted with a CrimeStopper alarm with extra distance (1 mile) and tilt-sensor (no stolen wheels) add-on. Exterior has been fully stripped, dents filled, primed, wet-sanded, and painted with a Mercedes Designo Mystic White with 2 base coats of white and 3 coats of clear. Truth be told, I have not even buffed this car yet after the paint. It looks amazing as-is, and I can’t imagine what a good buff would do. The truck reflector was deleted replaced with a sheet-metal fill panel in the paint process and really transforms the rear end into something totally unrecognizable. An ultra-rare Stillen fiberglass spoiler and commonly-used lip kit really make the car something else. I grafted on BMW side mirrors with turn indicators for a modern look. Stock mirrors painted to match are included. The car was my daily driver all through college and beyond, until I purchased my current daily driver 4 years ago. At that point, the car was covered and stored, and has been sitting relatively untouched ever since, save for being periodically started and ran for 30 minutes every few months. Car fires up instantly, so no issues there. All the belts are new (including timing belt). Coolant hoses are good, but if you want to replace them for your own piece of mind, totally understandable. 5 Big boxes of miscellaneous replacement parts that I’ve either upgraded or need to install (headlight parts and replacement body parts) are included in the sale. I have hundreds of pictures from the paint process, audio install, interior replacement, etc are available. Digital receipts are available for almost every nut/bolt/washer purchased since 2006. I also have the factory service manual for repair help. 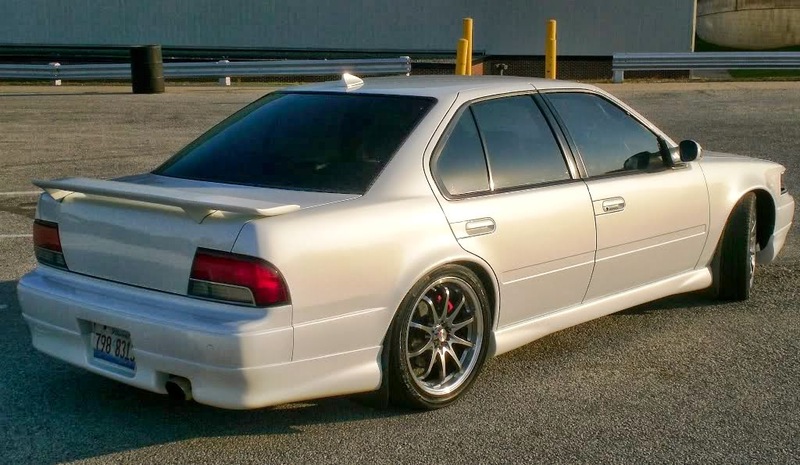 This car is for someone familiar with Nissans (and cars in general) and isn’t afraid of putting in some minor work to get a car that NOBODY else will be driving or even recognize. Please don’t hesitate to ask any questions. I can obviously talk about this car for hours and hours. I also offer phone assistance with any issues to the new buyer as piece of mind. I was an active member of maxima.org for many years and very active in the 3rd gen community until I purchased my replacement daily driver 4 years ago. I’d like to see the car move on to a good home. Mileage is unknown. When I replaced the transmission and gauges I couldn’t match the odometer. It currently reads ~30K miles and the car had ~100K when the work was done. As said, almost EVERY part on this car has been replaced in the last 4 years I drove it, save for the engine which has a new timing belt. If you took off the valve covers, which I did recently, you’d have no idea the engine has over 100K miles on it. There is a bit of blow-by when at full throttle in 1st gear. I use synthetic Mobile 1 only and change it every 5K miles religiously. The VG30E engine has been known to go well over 300K+ miles without issue. Radiator hoses are hard, but still flexible. Replacement is recommended. There is also some rust under the car on the floor-pans and one jacking point. The fuel and brake lines need to be replaced due to corrosion. 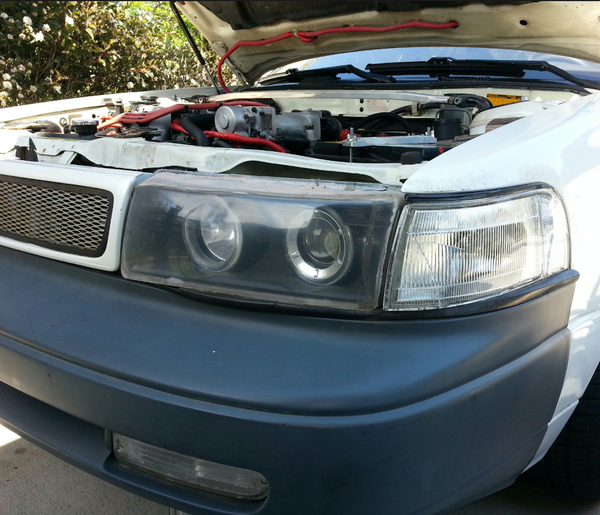 The front bumper and Stillen lip are unpainted... The car hit an ice chunk in the road a few years back and it cracked original bumper and lip. I’ve rough-installed replacements (easily removed for paint), but never finished the paint work. Remember, the final color is Mercedes Designo Mystic White with two base coats of white. The LED that illuminates the odometer has a bad connection and flickers at times. A quick solder job would fix it right up. One of the pillar gauge lights needs to be re-soldered as well. The trim paint I used on the center-console pieces has started bubbling, probably from off-gassing of the plastic. I have a full set of stock interior pieces ready to properly paint or install as-is. The passenger side A-pillar and center console arm-rest have faded over the years, but replacement fabric will be included in the sale. Alternatively, you could try to spray it with fabric dye and see how it turns out. A very easy job, regardless. The original door card fabric was replaced with graphite vinyl to match the seats, but started to pull away at the edges. Re-application of contact cement or 3M Super 77 spray would fix it without issue. I wanted to add black piping around the door inserts to finish the job nicely, but that’s just me. Front passenger side speaker crossover had some rust from some water intrusion at the window. That water intrusion was addressed, but the crossover should be replaced or cleaned up. Not a big job. The black paint around the side mirror trim has started cracking where I used body filler. Can be easily repaired with minimal knowledge of body work. There is a tiny rust spot on the driver’s side rear wheel well near the bottom of the door that’s starting to bubble. I’d recommend addressing it before it goes through the paint. I also recommend giving the car a coat of under-body protectant to prolong the car’s life if it stays in Chicago winters. Manual transmission swapped for 5 Speed Limited Slip Transmission from VE engine... ULTRA RARE conversion!!!! Other minor things to make the car 100% perfect. Last edited by traxtar944; 03-01-2016 at 08:05 AM. Always loved your car. Unfortunately I will have to hereby declare the market for these cars to be dead. 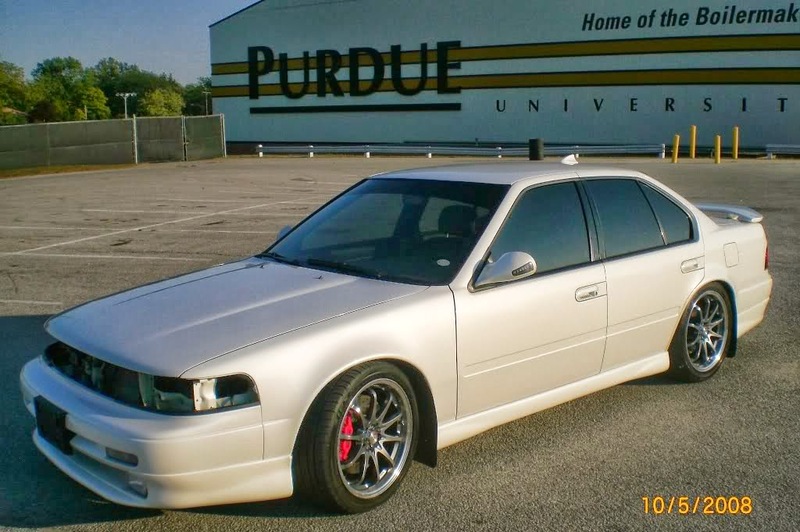 Not sure there are many out there willing to spend $6k on one of these, even as nice as yours is. 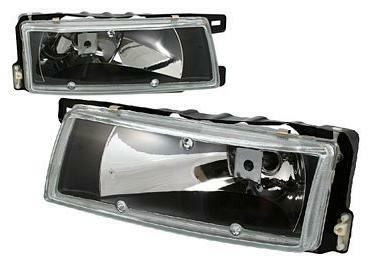 I'm wondering though, what exactly has been done to the headlight area that stock headlights cannot be used. Got pics of that area? James, the scene has been relatively dead for a long time now... I'm hoping that cars like mine can bring the 3rd gen the attention it deserves. As for the headlights, I'm assuming it's very similar to what's been done by others using an E36 projector. There's no way the stock sheetmetal can fit the BMW housing, so a good portion has to be cut away, including the mounting points for the stock headlights. If you're familiar with that area, you can see how the opening has been enlarged. 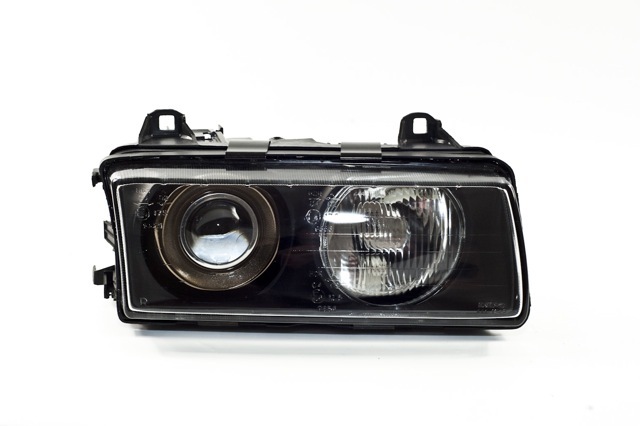 The headlights themselves are plastic housings with a projector for low beam and halogen reflector for high beam. I drilled 4 holes through the plastic for stainless steel mounting hardware, which go through new holes in the sheetmetal near the grill area and the side inner fender lining by the corner marker lights. You can see that in the above picture as well. The stock brackets are cut to use the grill mounting portion, which is sandwiched between the housing and the body sheet metal to hold in place. Nuts and washers act as positioning spacers to get the grill to sit perfectly. The portion of the stock bracket that holds the corner lights secure is also saved and re-used. I purchased one of those clear headlight sets that used to be sold on eBay way back when, because I intended to use the glass lens and graft it onto the BMW housing. It'll finish everything off nicely. 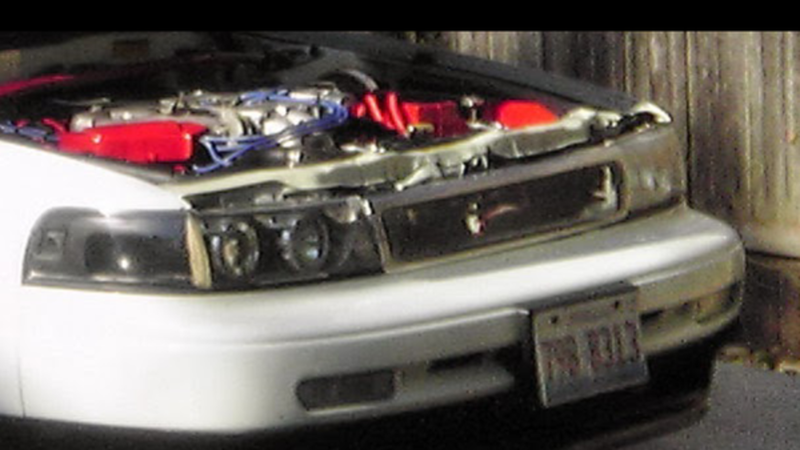 In the picture above, I used the plastic lense that came with the BMW housing, cut the front off, and mated the headlight protector to it instead. It used body filler and wasn't the best solution, but it worked fine for about 2 years as proof-of-concept. I just never got around to finishing the project. From the pictures alone, you can deduce some advantages the glass lens will offer over the current 'headlight protector' lens. More durability and a much more refined look. It just needs that intermediary piece made (from a 3D printer ideally) to perfectly mate the clear glass maxima lens to the BMW housing. Here is the clear glass lens I have. The housing is discarded (though I still have it saved) and the glass is to be mated to the E36 projector housing. Here's how the BMW housing started. The plastic lens is removed and the clear glass maxima lens is grafted on. 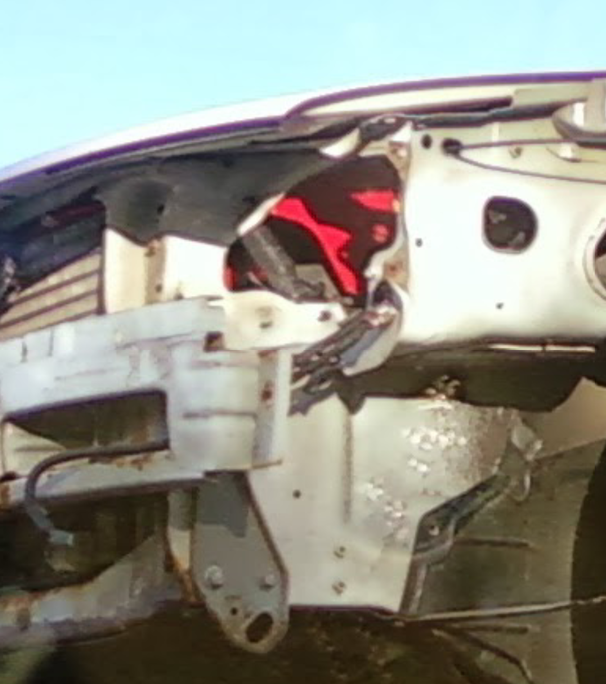 The housing is modified to mate to the sheet metal of the Maxima and is positioned to follow the body lines of the bumper and hood perfectly. Last edited by traxtar944; 05-07-2015 at 07:49 AM. Your pictures aren't working for some reason. I understand what you're saying though because I have basically done the same thing but using the Wade covers. I have the non-projector style BMW lights on mine. I cut the plastic BMW lenses off and built fully enclosed housings with plastic weld and ABS plastic for them using the clear plastic Wade covers for the front "lenses". Then the sides, bottom, and top I made out of ABS. They're completely water tight going on over 10 years later now. I have always wanted to re-do them with glass lenses but those lenses are unobtanium now unfortunately. From what I remember back in the day it seemed like guys were only having to cut their actual radiator T bar support for the projector BMW lights. Without your pics, I'm still having a hard time picturing what exactly has been cut apart. I can see on one hand how you may be referring to just cutting the actual (removable) headlight buckets but on the other hand you said the stock headlights can't be used at this point which almost makes it sound like you may be referring to actual body-side sheetmetal (that the stock brackets would bolt to) that has been cut away. They're just imgur.com links... go HERE for the full album. wow! you don't see this every day for sale, take it to dallas and store it near by??? i here ya , sounds like you made up your mind, i guess another futile semi convincing thought would be whats 2 years in context of all the years you already put towards it! and in 3 years this will be qualified in the antique automobile class! just saying! Bumping this to the top... Still for sale! Wholly 3 year old ad resurrection!